We’d love your help. Let us know what’s wrong with this preview of Baby Mine by Kellyn Roth. Amaliya Preobrazhensky lives with her mother in a tiny apartment. They don't have much except each other ... but that's all right. Every day, God provides. When Amaliya's father, who hasn't been around since before she was born, returns and a custody battle begins, it's hard for her to understand. Can a man she's never met really take her away from her beloved mother? Why w Amaliya Preobrazhensky lives with her mother in a tiny apartment. They don't have much except each other ... but that's all right. Every day, God provides. When Amaliya's father, who hasn't been around since before she was born, returns and a custody battle begins, it's hard for her to understand. Can a man she's never met really take her away from her beloved mother? Why would God let such a thing happen? 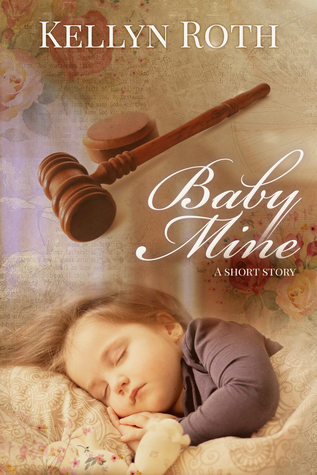 Published April 6th 2019 by Reveries Co.
To ask other readers questions about Baby Mine, please sign up. "This short story/novelette is a perfect afternoon read for both tears and smiles!" This was so adorable!!! <3 I absolutely loved Amaliya - and I really liked how the book was in her point of view (a five year old!)! And that cover is so gorgeous! Review to come very soon! Kellyn Roth has been writing stories since she was seven, though she wrote quite a few (awful) poems and songs before that. Nowadays, she pens Christian & Historical Fiction, including lots of adorable children and mischievous animals - as well as a generous dose of BBC-style drama. Miss Roth lives in the beautiful Columbia River Gorge with her parents, two little brothers, crazy border collies, annoying but lovable cat, and assorted cows and chickens. She is a homeschooled highschooler who spends her non-writing, non-reading time blogging, riding horses, attempting clarinet and saxophone, and pretending she has other hobbies besides writing.